This New Year’s Eve, we’re kicking off the family festivities with the Patrick’s Times Square NYC New Year’s Eve Party. 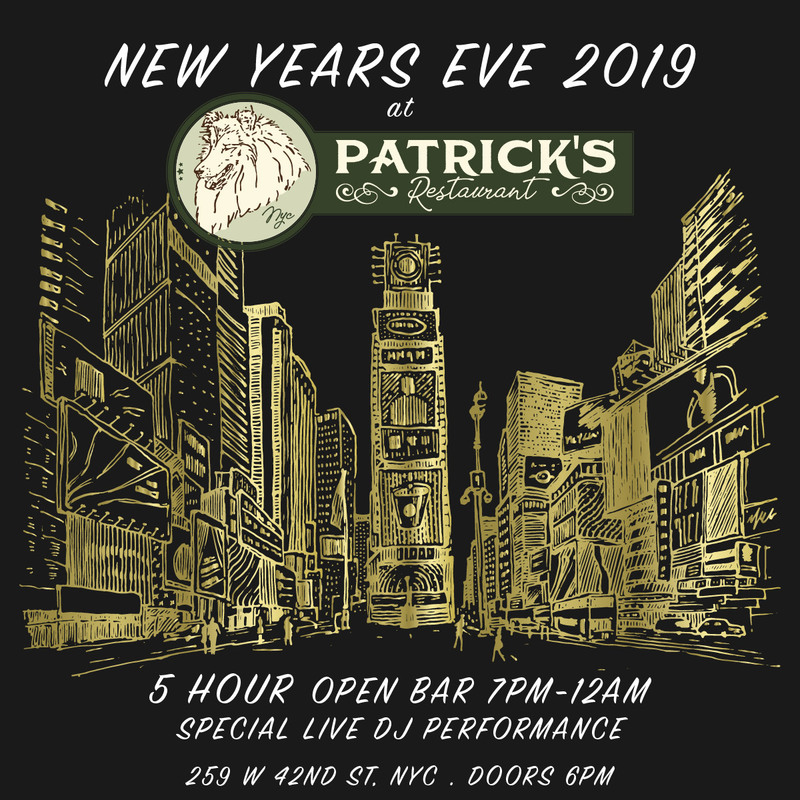 Previously the much-loved Chevy’s family restaurant, this party space has transformed into Patrick’s, and you’re invited to the first-ever NYE party that’ll set the standard in Times Square. Discover Patrick’s soon-to-be-legendary menu, a five-hour open bar (21+), and all the highlights you expect in a Times Square NYE extravaganza. 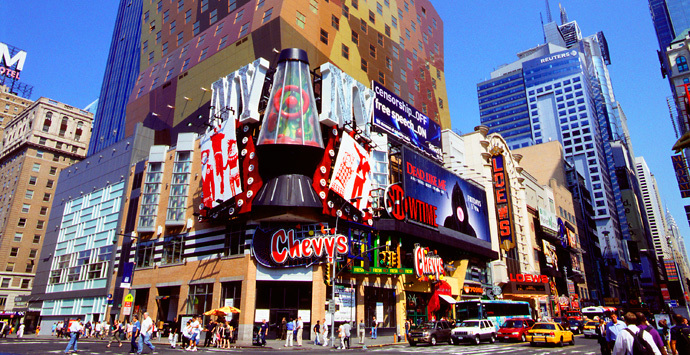 There’s no better all-ages party in Times Square than Patrick’s, hosting its inaugural NYE bash for clued-in party rockers. 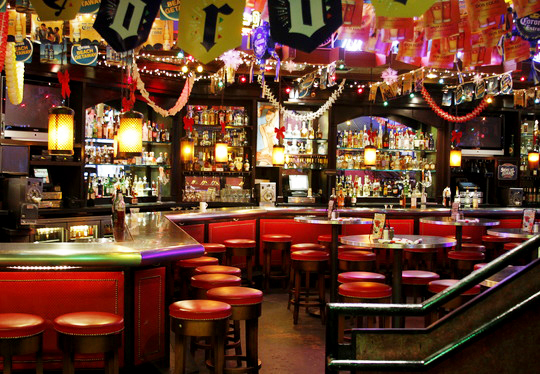 A five hour open bar (21+) means the adults will be drinking to their heart’s content. The delectable restaurant menu is sure to please even fussy eaters. A live DJ spins all the hottest Top 40 and hip hop tracks, all leading to the epic midnight countdown. Guests will celebrate the moment with the complimentary champagne toast. For families or singles looking to indulge, take out a VIP option that offers a premium experience. This is the ultimate family party in Times Square – so raise a glass, New York, and be a part of the magic this New Year’s Eve. If you haven’t experienced a Times Square New Year’s, you haven’t done New Year’s Eve right. This district – which houses the lights of Broadway along with the famous Ball Drop watched around the world – is a whole new world on NYE, brimming with lights, fireworks, and confetti. 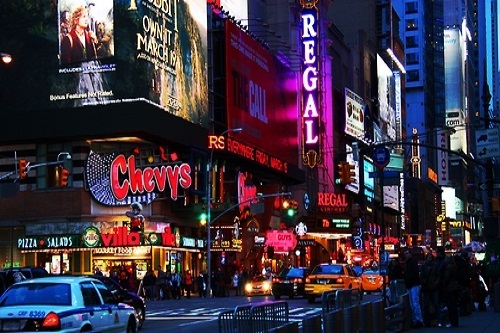 There’s no better way to experience the excitement than at Patrick’s, which provides the comforts of a restaurant space combined with the action of Times Square. Revel in a Times Square New Year’s that’s a cut above the rest at Patrick’s. This is your ticket to a night you and the whole family will remember.